From 2005 till 2010 the author was researching the message (semiotic analysis) conveyed in the imagery of the Scythian Pectoral. It is suggested that in the centre of the composition there is a Golden Fleece which Homer is holding on the left side, and the Scythian king Ateis who was Homers’ descendant of the 7th generation is on the right. 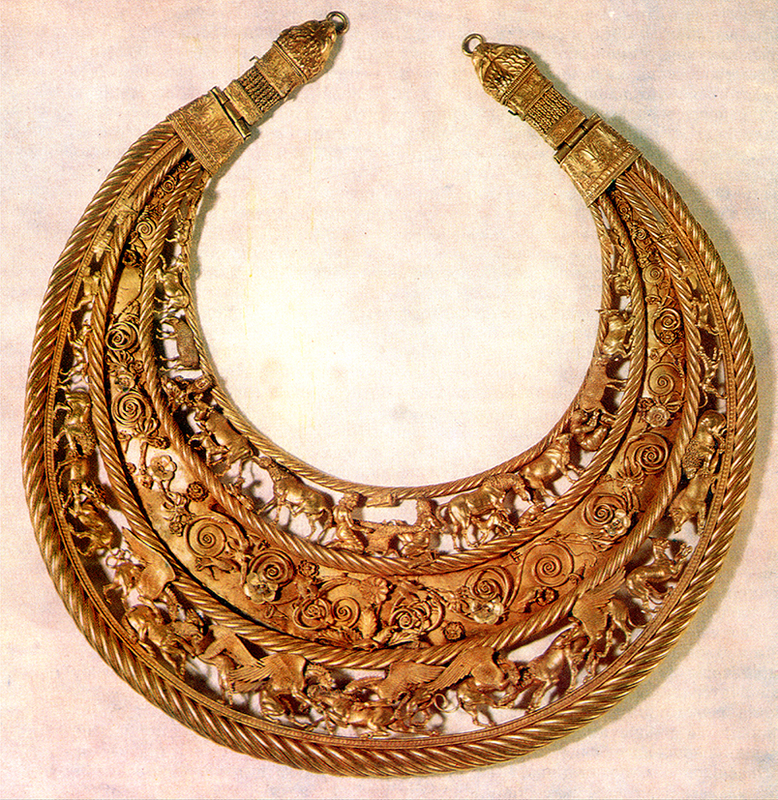 Having done the semantic analysis of creature’s names presented in the Pectoral, the author states that the Pectoral might have been dedicated to the 83d anniversary of Ateis and the 300th anniversary of the date when the Golden Fleece, the symbol of the Cymmerian-Scythian power, had been made by Hephaestus (Leokhar) in Hades (Mykolaiv, Ukraine). This entry was posted in Atlantis Articles, Homer Articles, News, Scythia Articles by Anatoliy Zolotukhin. Bookmark the permalink.